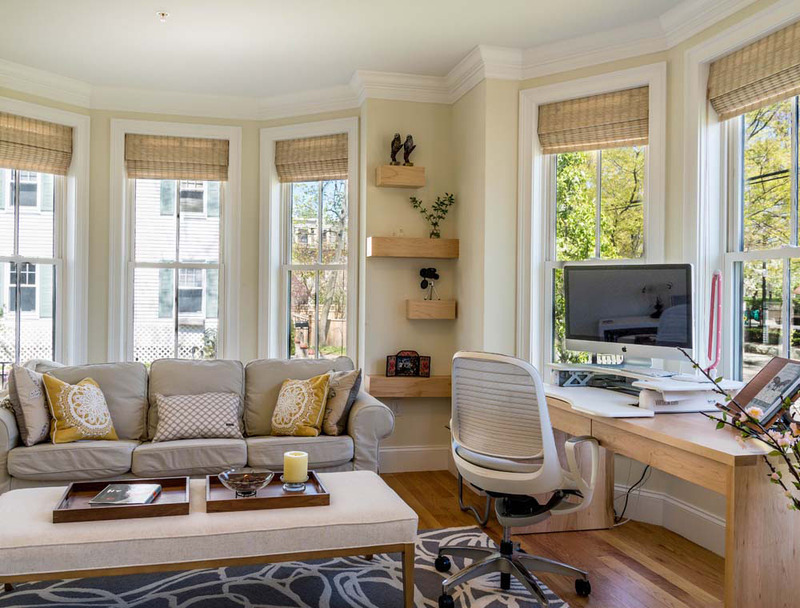 Facing the street and the local park beyond, this study had abundant light and great views, but no privacy, We chose window treatments that could be adjusted to selectively cover the window either from the top-down or the bottom-up. 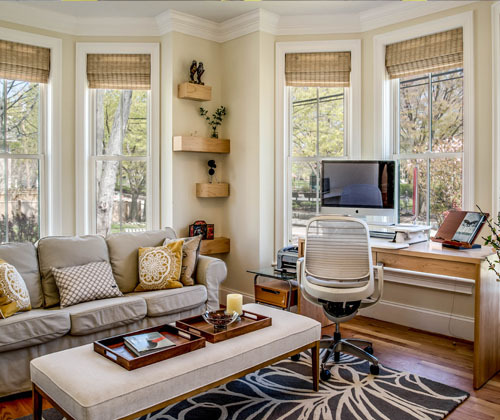 The desk, chair and ottoman were purchased from Room and Board. 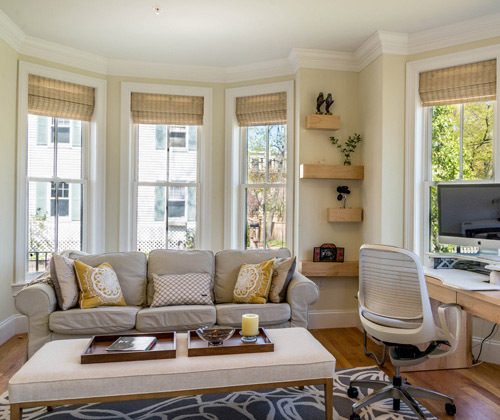 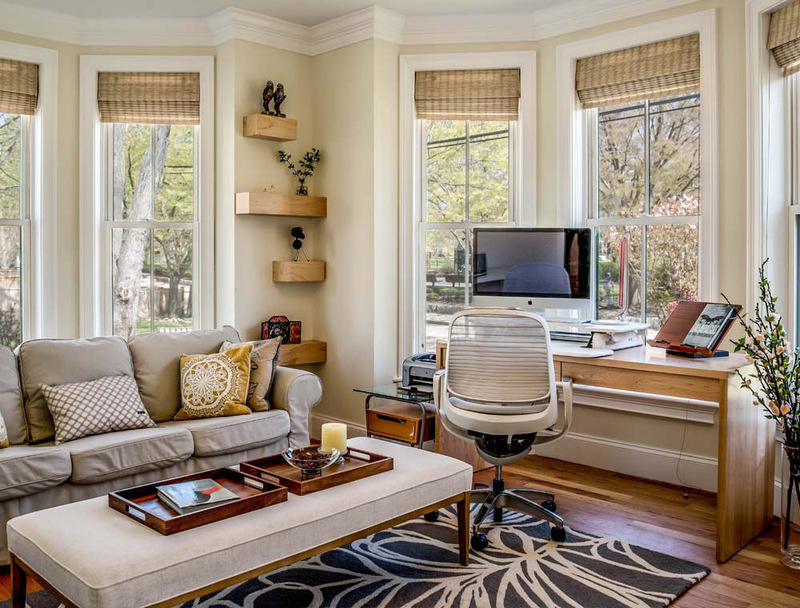 The window treatments, custom bamboo shades, were sourced from a local shop in Needham, MA. 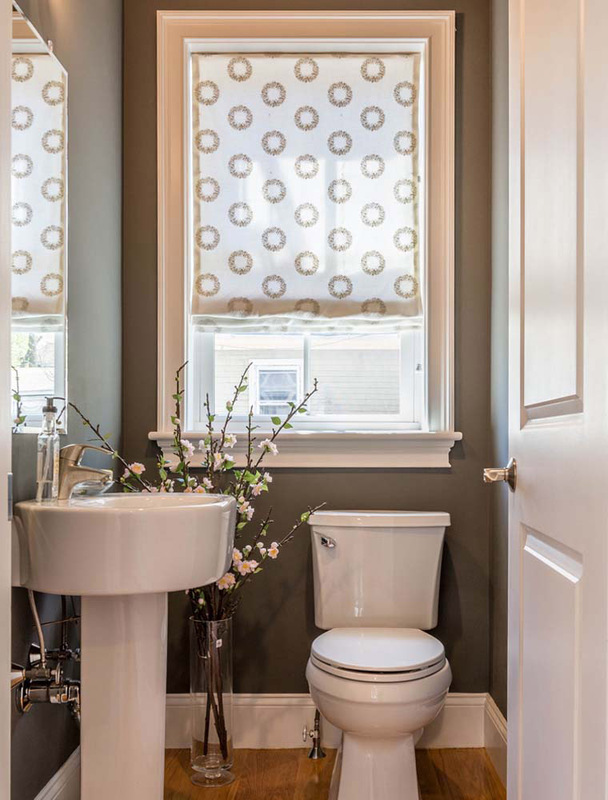 The powder room - Unlike the rest of the rooms in their new home, which were painted in neutral colors, my clients wanted a bolder choice for their powder room. 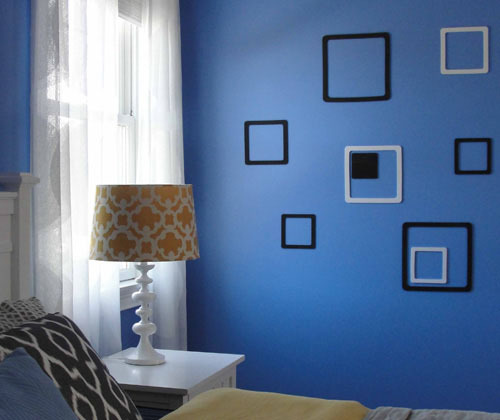 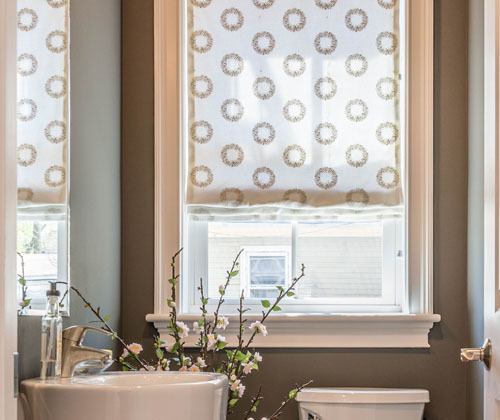 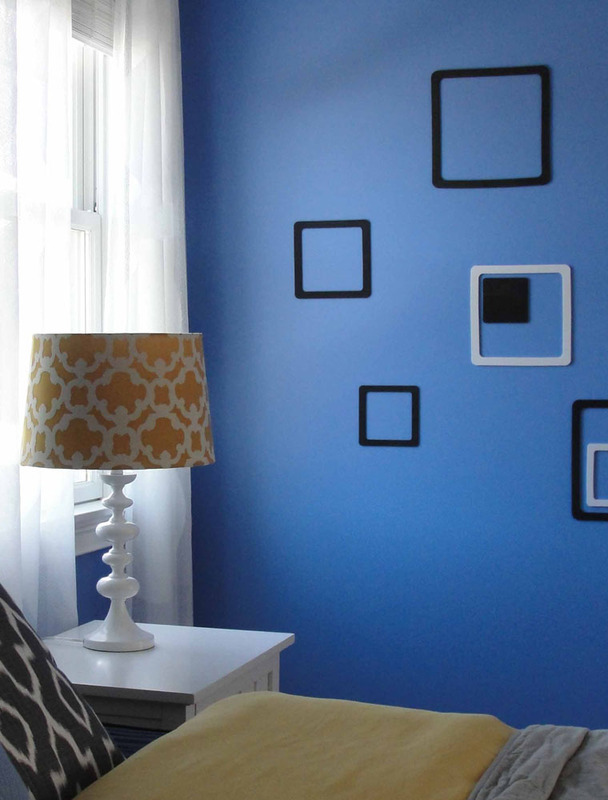 The sheer, circle-patterned window treatments were offset by the dark, warm-gray walls.